Welcome to Mountainside Stained Glass. I hope you enjoy the studio and gallery where I have displayed many of my works. Stained Glass art is fascinating because each piece is an original and continues to be original with the changing light and seasons. A piece may never look the same twice! It's a practical art form as well in as much as a piece hanging in a window can decorate, provide privacy or replace an undesireable view with a beautiful one. Large panel pieces can be installed within spaces delineating areas, defining passages, or incorporated into cabinetry and doors with relative ease to create spectacular and unique decorative effects. 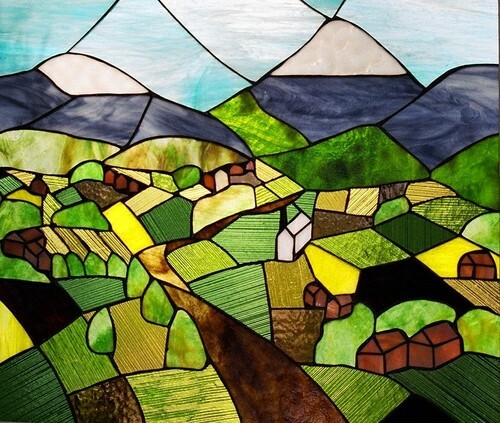 Please visit the website at www.mountainsidestainedglass.com where many more beautiful pieces are featured, and you can see us on facebook at Mountainside Stained Glass, and last but not least we also appear on the Arts & Culture events listings for Northern British Columbia right here on gobc. GO AHEAD, DECORATE YOUR LIFE!